I-Coat Colour Coatings - Independent Corrugator Inc. 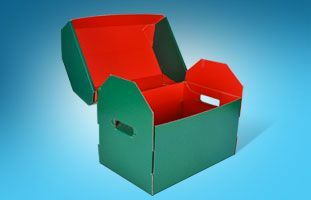 Independent Corrugator Inc. (ICI) can show you how to harness our I-COAT™ coating system to make ordinary packaging and displays highly appealing. It’s the system used to turn numerous corrugated substrates into eye-catching POP displays across the United States and Canada. Colour matching – Consistent branding and package image assures a professional appearance. We utilize consistent and uniform colour coverage that reduces the appearance of flute lines. Our I-COAT™ system can colour-match most Pantone, GCMI or custom colours employed within your client’s branding campaign. We help expand the colour choices beyond traditional options such as screen print, preprint, direct print flexo and litho. 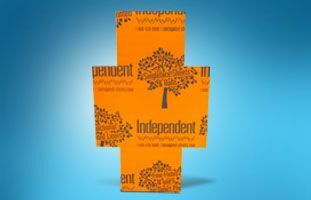 Full coverage colour – Our I-COAT™ System is designed to provide a cost effective option to traditional print processes. The ICI team offers a unique process that applies 100% ink coverage directly on to the paper substrate without the need for expensive printing dies. Applying ink (with or without top coat varnish) to the paper before it is corrugated reduces the appearance of flute lines traditionally seen when using a conventional flexo press requiring print plate transfer of ink to the corrugated board surface. Colour coating on various corrugated substrates – Our in-house expertise ensures that we can handle even the most complex corrugating project. Helping you create vibrant POP displays using various corrugated substrates sets us apart from the traditional corrugated industry. Whether you require “small” flutes such as N and F for the folding carton industry; B, E, C, BC, EB for POP displays; or BB, EE for digital sign board, we do it all. It’s the experience-driven solution for “value-added” colour coating needs. To learn more about the I-COAT™ system and the technical capabilities of the team at ICI, contact us today.